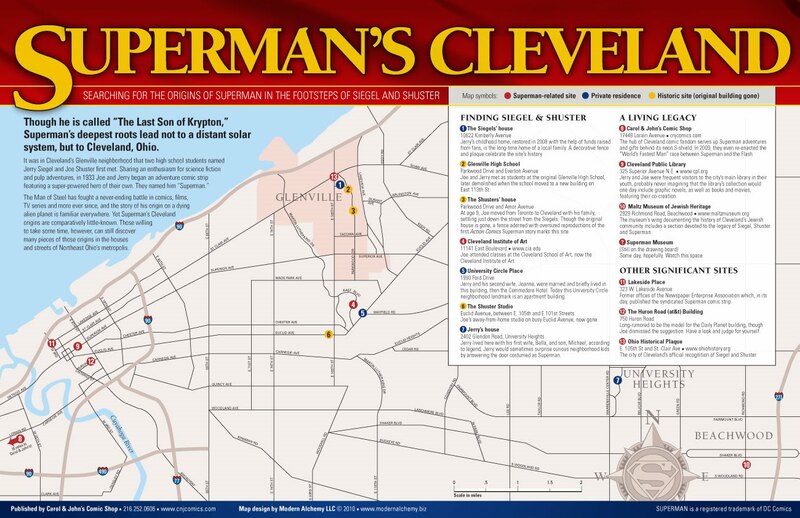 This weekend, my friend Matt Kuhns posted a PDF download of one of his recent pieces, entitled "Superman's Cleveland." 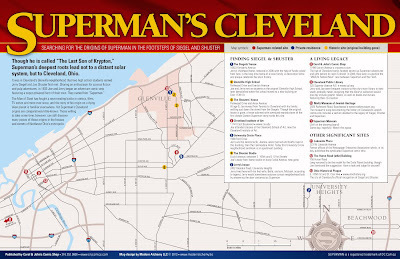 It's essentially a tourist map of the Cleveland area with Superman-related highlights called out. You can get a professionally printed copy from Carol & John’s Comic Shop or download the PDF version (and read some of production notes) from Matt's blog. Thanks, man! Appreciate the link. I have actually put a few of these in the mail for you. Something to add to your comic/superhero collection.